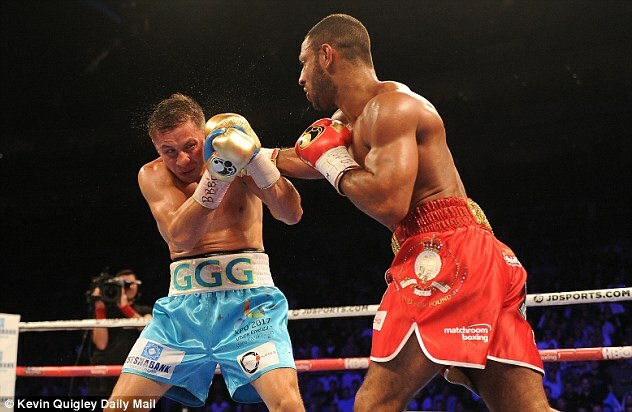 Kell Brook will have surgery on Monday to fix the broken eye socket he suffered in his brutal defeat by unbeaten champion Gennady Golovkin. But the 30-year-old has backed the decision by trainer Dominic Ingle to bring the fight to an early end after his corner man threw in the towel in round five. 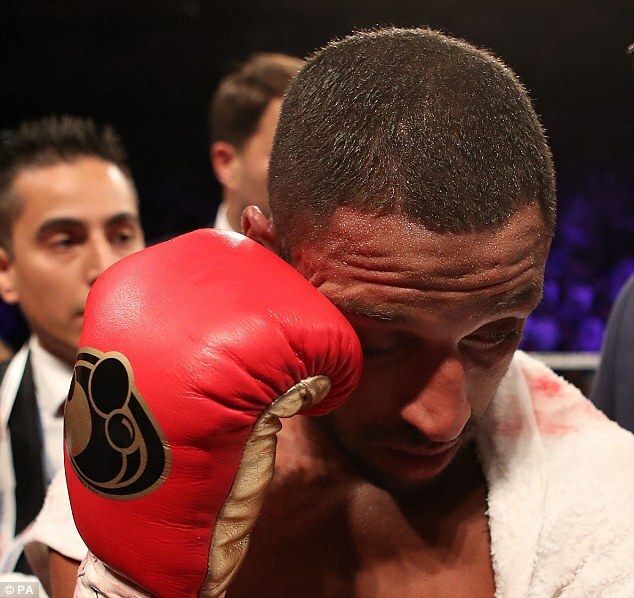 Brook suffered his injury as early as round two and was unable to cope with the power of the Kazakhstan fighter, admitting things could have ended up ‘seriously bad’ if the fight had continued much further. 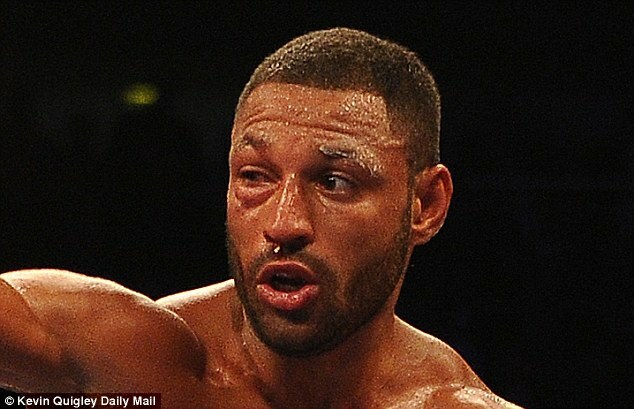 Brook told Sky Sports: ‘I came back after the second round and said ‘I can’t see out of the right eye, Dominic’. Dominic Ingle is a former junior amateur boxer who is now in charge of a number of top young fighters. Ingle is a professional boxing manager and coach with over 20 years of experience. He is the main man at Ingle Gym in Sheffield, where he counts Kell Brook as his most high-profile fighter. Ingle worked alongside his father Brendan as the trainer of former world champions Naseem Hamed, Johnny Nelson and Junior Witter. 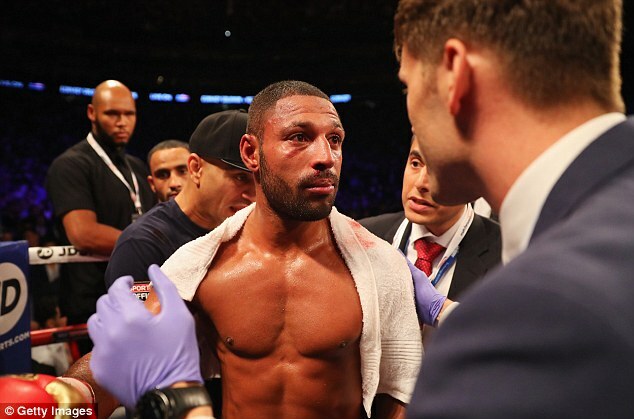 Brook found himself under intense pressure from Golovkin’s assault. 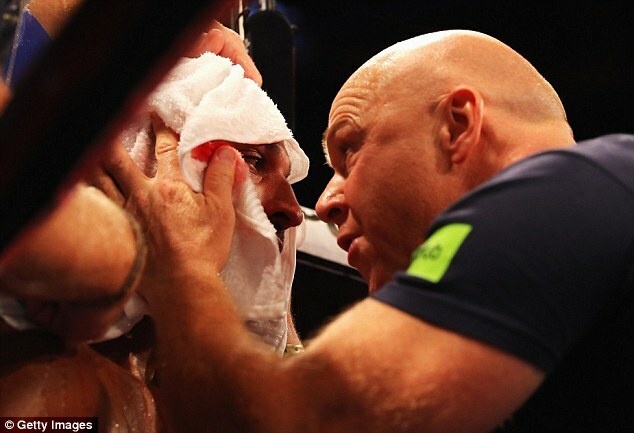 He appeared tired and, with his fighter’s eye cut and swollen, Ingle stepped in to conclude a resilient performance. The challenger was taken to hospital before being released in the early hours of Sunday morning. 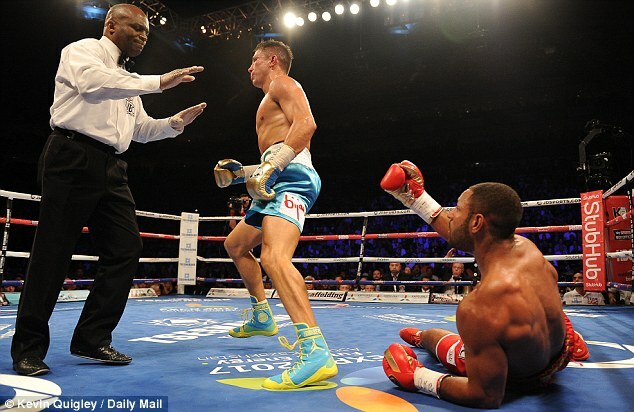 He is to be operated on in the coming week, before preparing for an eventual return to the ring at light-middleweight. ‘I was getting caught and getting caught. It could have ended up seriously bad,’ Brook added. ‘As much as the loss has been gutting and upsetting, I’m excited and happy the fans have seen a great battle against a great fighter, a throwback fighter. 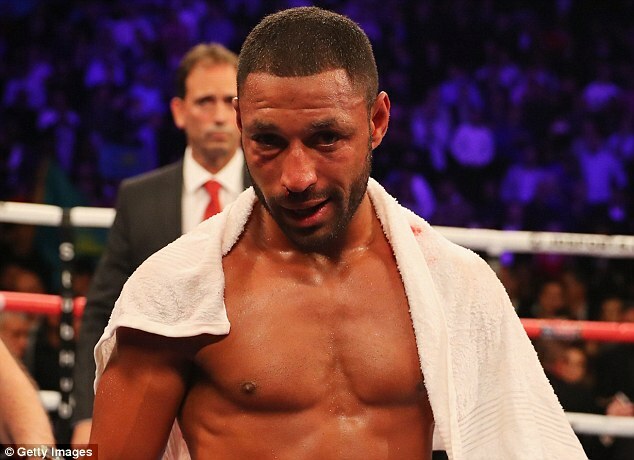 Promoter Eddie Hearn confirmed Brook will go under the knife in Sheffield on Monday, a further blow after he suffered his first defeat in 37 professional fights. Hearn praised his man for taking the decision to step up to Golovkin’s division and also confirmed he had no issue with Ingle’s move to bring the fight to an early close. 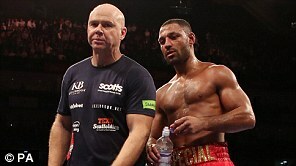 ‘Kell traded with him and had a real go but it was absolutely the right decision from Dominic Ingle,’ Hearn told BBC Radio 5 live’s Sportsweek programme. ‘I know there were a few boos from the crowd, but he knows his fighter more than anyone and that kind of injury can get worse and worse in a fight and ultimately end someone’s career. 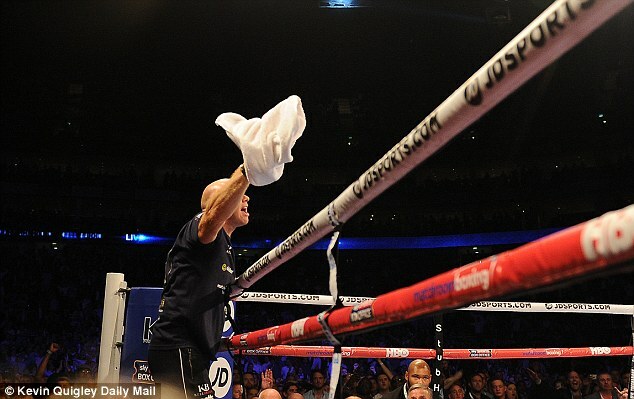 Hearn added: ‘Fans always want fighters to step up and fight the best and he did that. Kell stepped up from welterweight to middleweight. 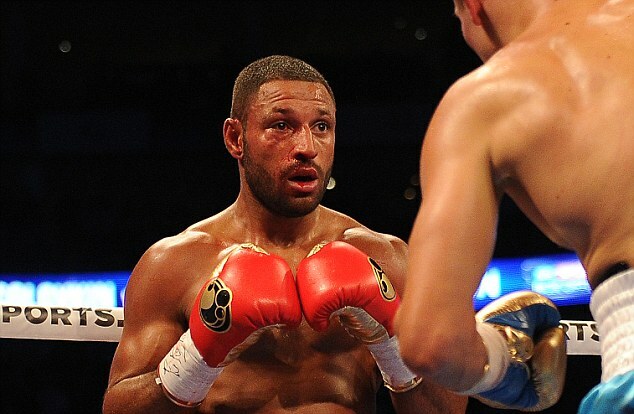 Brook had been the significant underdog against one of the world’s leading and most destructive fighters. 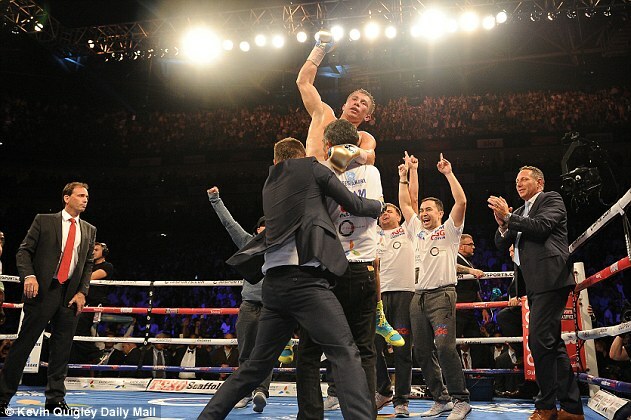 Few observers believed him capable of winning, but Hearn maintained arranging the fight was the right thing to do. 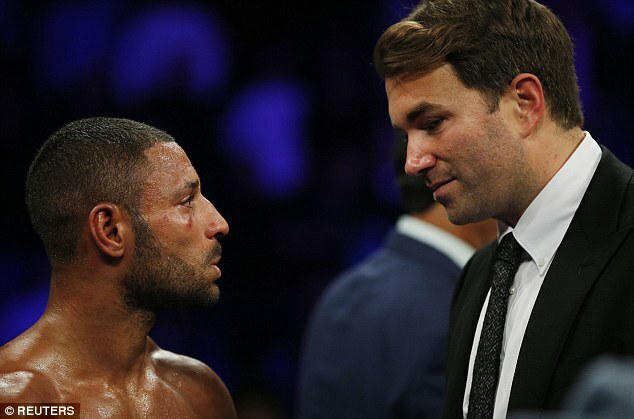 ‘Peter Nelson (executive president of American television network HBO) has already come up to me and said: ‘We need to talk about Kell Brook’,’ said Hearn. Brook’s domestic rival Amir Khan last fought at 155lbs when losing to Mexico’s Saul Alvarez in May, but is expected to return at welterweight in 2017. 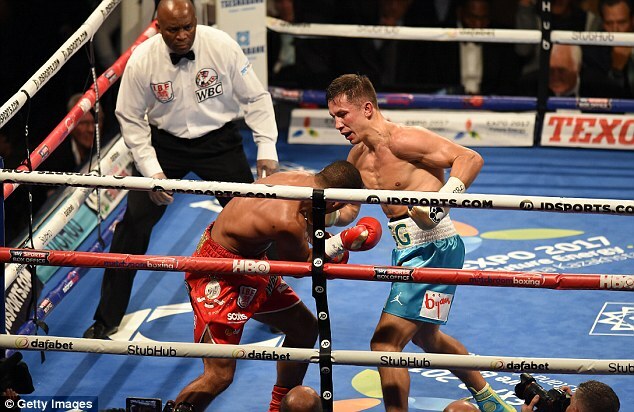 The weight Brook gained to challenge Golovkin, combined with his previous, intense struggles to make the 147lb limit, means he is likely incapable of returning there. Hearn, however, again spoke of his desire to match the two together. ‘As a promoter there is nothing better in a build-up than two fighters who don’t particularly like each other,’ he said.